Article from Stuff.co..nz by Ben Rogers. Ashley Nesbitt is living proof that good things come in small packages. 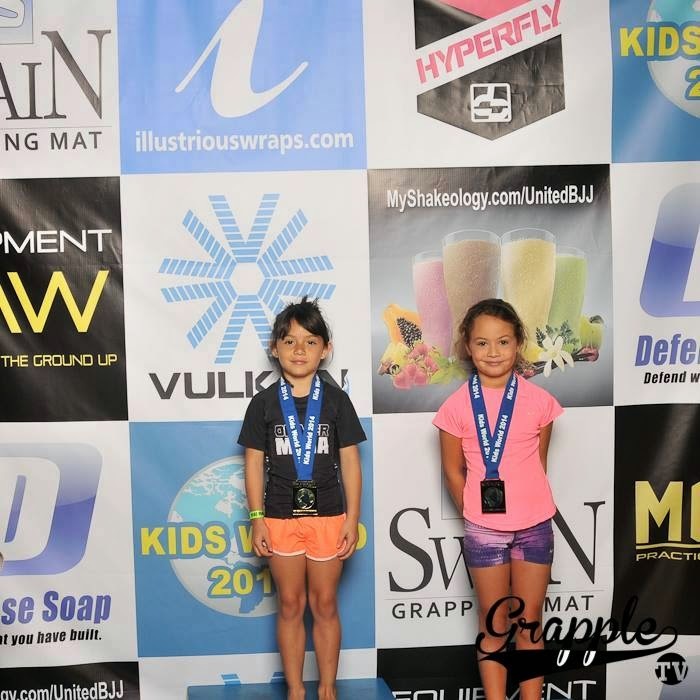 The 8-year-old Blockhouse Bay resident has just won a gold and silver at the 2014 Kids World International Brazilian Jiu-Jitsu Championship in the United States. Stepping outside her comfort zone and competing in Los Angeles has been a humbling experience for the youngster, mum Fiona Nesbitt says. "It has been really hot over there, I think she has been pretty overwhelmed by the whole thing but she has taken it all in her stride so far." It was the first time Ashley has been away from home without her family and the first time she has competed without her mum or dad in her corner. She travelled with her coach. "I think she has found it a lot easier than I have. Ashley is pretty independent, she's got quite a mature personality, but for me it has been nerve-racking." Despite the distance between her and her whanau, the proud Nga Puhi descendant fought her way to a silver in the gi tournament and gold in the no gi tournament. "From what I've heard she has had a lot of fun but it is a lot different to anything she has experienced before. There was no coach in her corner so she wasn't able to be coached through her matches which was a first for her." With the tournament now over Ashley is spending an extra week in the US for some more training in Las Vegas. Ashley is the middle child of five who all practise martial arts. Her mum says her results have been an eye-opener. "We would love to take her back again next year. This has made us think she definitely has a future doing what she is doing, so she will get back to training and see what comes next.